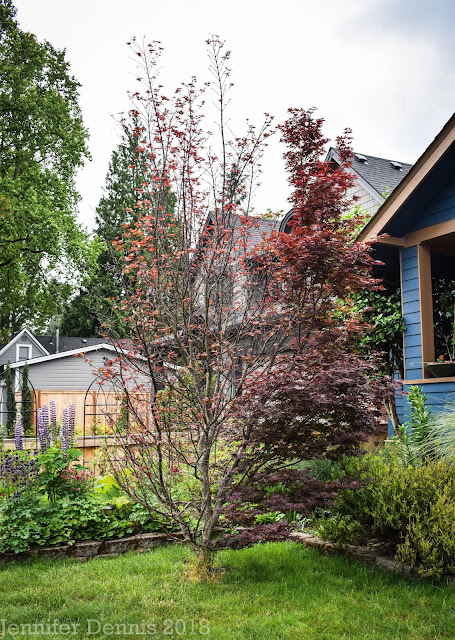 In the winter, it's challenging sometimes to A) want to be outside to brave the rain and chill and B) find things of excitement in the gardens to ponder over and soak in (literally sometimes). I think winter is a time for reflection and planning but earlier this week, as I was working in the cottage flower gardens, pulling weeds and fluffing the soils, I noticed the moss growing on some of our larger pieces of decorative rock. It's like an alien landscape. I did spend quite a few minutes admiring the different mosses growing. Someday, I'll educate myself on the different types. I really should know them as I do live in the 'Land of Moss'. I feel transported to one of my sci-fi novels, looking at an otherworldly realm. To add to the atmosphere, the hummingbirds that have decided to winter over with us (3 Anna's) were buzzing around and calling out their odd manner. I do believe they dive bombed me once. I don't get to see much moss around here, so I've never really taken a close look at it. Your photos could be mistaken for an alien landscape that's for sure! 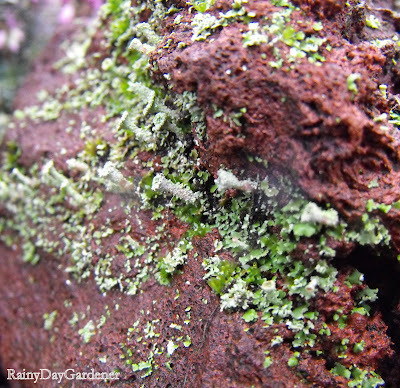 Lichen is such an evocative word; much netter than moss. Nice pics too, very ethereal! I love close-up photos of moss. Yours are very beautiful! This past year has been a great one for moss. I do love it too! Great pictures! 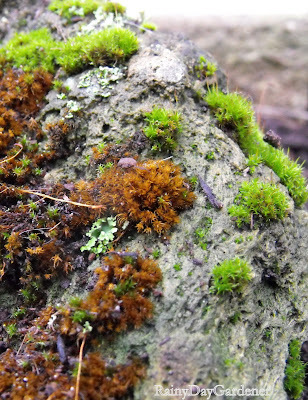 I love mosses and lichens. Ever since I was little I was obsessed with moss. There are all different kinds here. Your photos are so cool. I can almost feel it on my fingers. I needed to see some green as it is freezing and the snow is flying. 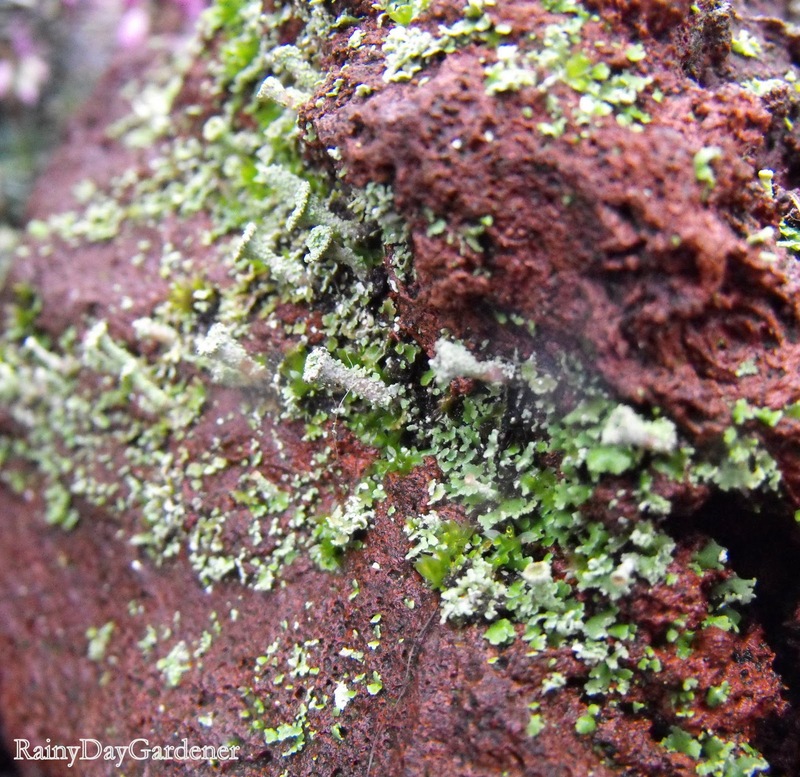 I've quite a bit of moss and lichen around the garden! Its all the rain we get I suppose. It can be really pretty. I love moss too! Now, in winter, it doesn't get brown and ugly. Thanks for your comment. It's snowing right now here, just started. Yes! Love the moss / lichen (?) photos. You've got me reaching for my camera too now. I love zooming-in to look at the details. I have a lot of moss round here as well. When I had a lawn it was a nightmare trying to keep moss out of it. Thanks for your good wishes BTW. Feeling a bit better, and hoping to get back to work this coming week. We have Annas here too. They have that weird chirping they do from the tree branches. I am also in love with moss. I've noticed that it really likes to grow in those red cinder rocks so I used many of them to line my pond. Now they're all mossy like they've been there for decades. I agree...as much as I'm itching to get out there and garden...I think we need winter as much as we need summer...as you said, for reflection. There's nothing like the perspective a little distance can give us! It never occurred to me to learn the different types of moss. Good idea.